After the first few days of January, expect to see thin crowds as holiday travelers make their way home from Disney World. Winter is a slow, laid-back time of year at Disney World, so even if you sleep in, you can still experience many of the rides and attractions without much of a wait. It should be easier than usual to secure the room you want at a price you can afford, and you may be able to snag a reservation at some of Disney's most coveted dining locations. January is a good month to bring a baby to Disney for the first time. The weather is mild, and it will be easier to get around, thanks to the light crowds. Orlando's temperate winters mean the months of December, January, and February are also an ideal time to explore some of Disney's outdoor offerings such as biking, horseback riding, and camping. Pack your running shoes and join the marathon fun at Disney World in January, with events for every member of the family. To make the most of your January visit to Orlando, be prepared for closures and limited park hours during Walt Disney World Resort's off-season. Many rides and attractions undergo routine maintenance at this time of year. And even though Disney World resort pools are heated, it may feel too cold for swimming. The weather at Disney World in January will be mild and comfortable most of the time, but don't be surprised if the mornings and evenings feel chilly, with overnight frost even a possibility. Those averages put the mean temperature right around 60 F—or the equivalent of a perfect fall day in northern climates. The mild weather makes winter an ideal time to enjoy most of the Disney World theme parks, though the Typhoon Lagoon and Blizzard Beach water parks may be closed during your January visit for annual refurbishment and you may find it too chilly to enjoy water rides at the other parks. The Orlando area receives an average of 2.39 inches of rainfall in January, with only five days of expected rain. The area's humidity tapers off during the winter months as well. There are fewer daylight hours, though, ranging from 10 hours and 20 minutes to 10 hours and 48 minutes between sunrise and sunset. Pack both a lightweight sweater and a jacket, and mix and match as needed during your trip to accommodate potentially wide temperature fluctuations. Though you likely won't experience long periods of rain, you might want to bring a raincoat and umbrella for the inevitable subtropical sprinkle. Bring both shorts or skirts and dresses for hotter days and long pants to stay comfortable when the temperature cools down. Walt Disney World Marathon Weekend: Runners enjoy visiting Disney World this month to take part in the annual Disney Marathon, which includes a half-marathon event. But even those new to the sport can take part in the healthy fun by registering for a 5K or 10K run. Even kids get in on the action with 100 and 200-meter dashes, a diaper dash for the toddlers, and a longer 1-miler challenge for older children. If you travel during the first week in January, you may not avoid the crowds, but you can enjoy some of the Walt Disney World Resort's holiday decorations before they come down. The shorter days mean you can catch the Fantasmic fireworks display at Hollywood Studios at 7 p.m. instead of the scheduled 9 p.m. showing during summer. Use Disney's FastPass+ system for big attractions such as Toy Story Mania or Space Mountain to be able to pack more rides into a single day. 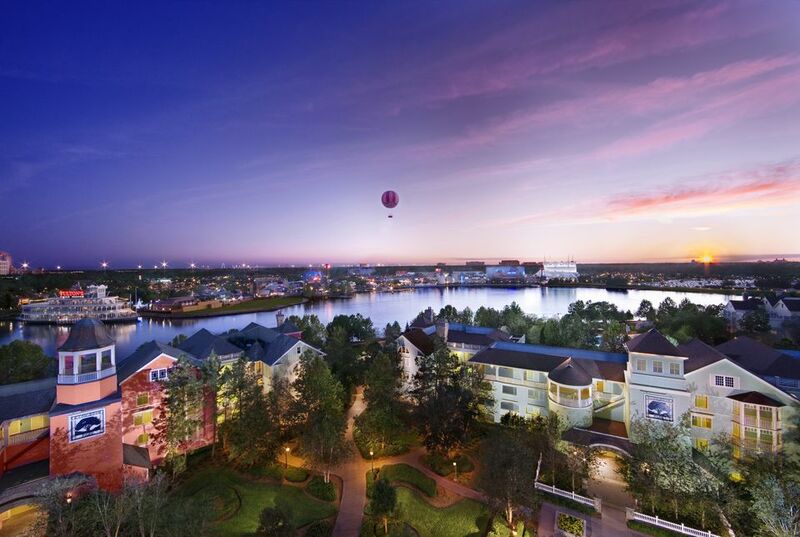 Alternatively, staying at a Disney resort hotel offers the perk of visiting the theme parks on certain days before or after regular hours through Disney's Extra Magic Hours program. Even though park attendance is historically low during January, be sure to make Advanced Dining Reservations (ADRs) for table-service restaurants. These reservations can be made for many of Disney World's restaurants up to 180 days in advance of your visit. Expect shortened park hours, and ride and attraction closures during the month. Spend the night camping at Fort Wilderness while the bugs and critters hide from the colder weather. To learn more about the pros and cons of visiting Disney World during January, check out our guide on the best time to visit.